Rondout, Illinois is still a favorite railfan "hot spot," even if many of the names have changed. To be sure, the Chicago, North Shore & Milwaukee no longer crosses overhead, having been abandoned in 1963, but the embankment serves as an excellent "sky hook" for photographers (today it has been re-purposed as the North Shore Bike Path, with a lightweight bridge replacing the long-gone North Shore bridge). 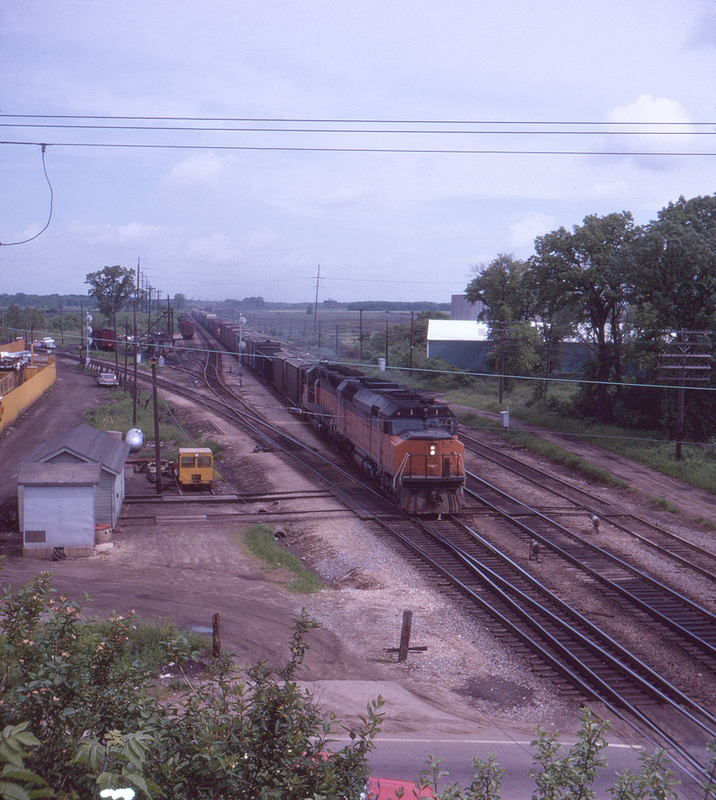 Otherwise, the Milwaukee Road main (here hosting a southbound freight) is now part of the Canadian Pacific, with the Fox Lake commuter line diverging to the left. Not visible here but still active behind the camera is the former Elgin, Joliet & Eastern mainline, now part of Canadian National.